Cisplatin (CP) is one of the most important anticancer compounds with its therapeutic usefulness in diverse types of solid cancer. However, its use is limited due to nephrotoxicity induced by it. Oxidative stress is an effective participant which contributes actively to pathogenesis of CP-induced nephrotoxicity. 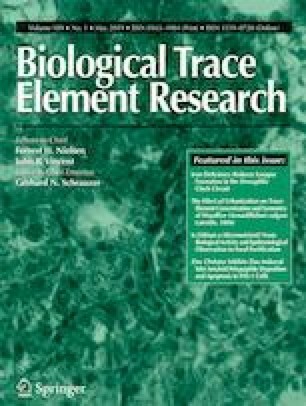 Nanoparticle form of a rare earth metal cerium, also known as nanoceria (NC), has come up as a potential antioxidant and anti-inflammatory agent. In the present study, administration of CP in Swiss mice resulted in reduction of body weight, increased oxidative stress and pro-inflammatory cytokine levels including IL-6 and TNF-α along with alteration in normal histological architecture of kidney. On the contrary, NC (0.2 and 2 mg/kg i.p.) ameliorated nephrotoxicity of CP which was evident by reduction in levels of renal injury markers in plasma, i.e., creatinine and blood urea nitrogen. NC ameliorated oxidative stress by showing a reduction in levels of malondialdehyde and increased levels of endogenous antioxidants reduced glutathione and catalase. Further, NC treatment also reduced the levels of pro-inflammatory cytokines. Furthermore, protective effect of NC was also corroborated by histopathological studies wherein, kidneys from CP group showed altered tissue structure after acute as well as chronic exposure of CP while the tissues from treated groups showed absence of alterations in kidney histology. The results from present study suggested that oxidative stress and pro-inflammatory cytokines play a central role in pathogenesis of CP-induced nephrotoxicity and NC provides protection from CP-induced nephrotoxicity due to its antioxidant and anti-inflammatory properties. Mohd Aslam Saifi and Swetha Sangomla equally contributed to this work.